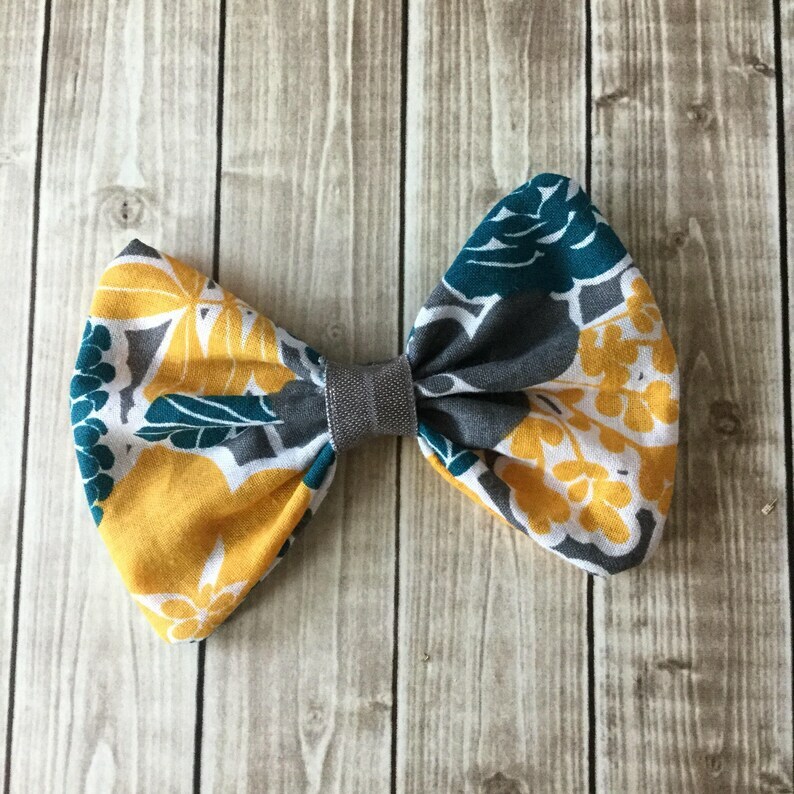 This fabric hair bow measures approx. 4” across and is attached to an alligator clip. The fabric is a fun floral design in mustard, gray, and teal. Would you prefer the bow attached to an elastic headband? Send me a message and I can customize for you. All items are lovingly handmade in a pet / smoke free home. Gift wrapped orders will come without a receipt & are wrapped in white tissue paper w/ satin ribbon. Item arrived very quickly and was exactly as shown in the picture! The owner was also very willingly to make me a different sized bow when I inquired but I ended up just going with the one that was already made. Would highly recommend! These are adorable!!! Love! Thank you so much! !